Brian K. Vaughan, Marcos Martin and Muntsa Vicente’s pay-what-you-want digital comic lands at Image as a five-issue, weekly miniseries coming next May. Diamond Comics Distributors has announced the 12 Gold Sponsor comic book titles for 2018’s Free Comic Book Day, which includes titles from DC, Marvel Comics, Dark Horse Comics, IDW and more. 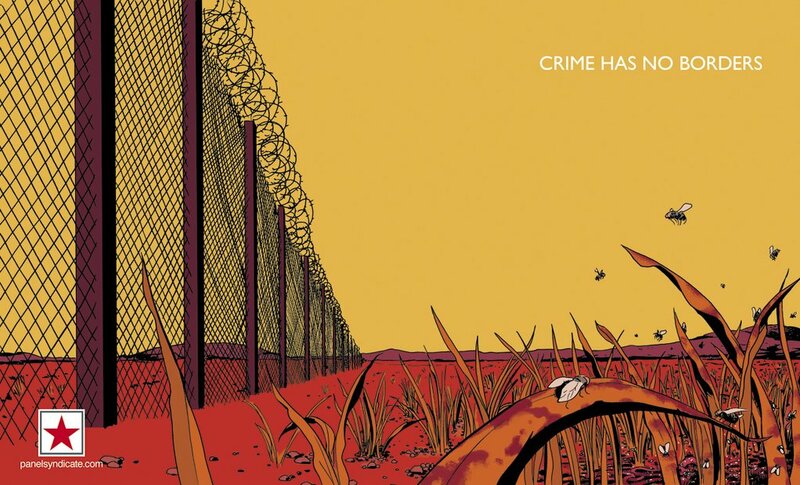 While many publishers use the opportunity to kick off events or new series, Image is doing something interesting this year — their FCBD title is Barrier #1, bringing to print Brian K. Vaughan, Marcos Martin and Muntsa Vicente’s pay-what-you-want digital comic. Download the first issue now at a price of your choosing. Ken Niimura of Henshin and I Kill Giants fame is the latest creator to join the Panel Syndicate crew, the digital comics imprint started by Marcos Martin and Brian K. Vaughan. Umami, a black-and-white comic written and drawn by Niimura, debuts today on the site. It’s the story of a chef, a cook, giant birds and a quest for salt. The first issue is available via Panel Syndicate’s “name your price” model, like every other book they offer. Brian K. Vaughan, Marcos Martin and Muntsa Vicente’s digital comic about immigration and aliens wraps up. Brian K. Vaughan, Marcos Martin and Muntsa Vicente wrap up their second “pay what you want” digital comic today, as the fifth issue of Barrier arrives on the Panel Syndicate site. The first issue of David Lopez’s new “pay what you want” comic features family, superheroes and surprises. Former Fallen Angel and Captain Marvel artist David Lopez returned to creator-owned comics today with Blackhand Ironhead, “comedy about family, with superheroes, not about superheroes.” Like all of Panel Syndicate‘s titles, you can pay what you’d like for the first issue. Panel Syndicate, the digital imprint founded by Brian K. Vaughan and Marcos Martin, has published a small yet impressive set of “pay what you want” comics since they launched in 2013, including The Private Eye and Barrier from its founders and Albert Monteys’ Universe. Now it looks like another creator is joining the line-up, as artist David Lopez has been posting process art and a logo for a new project titled Blackhand Ironhead. The first issue of the “unconventional drama about violence, language and illegal immigration” is available from the Panel Syndicate site now. Following the teaser from last week, Brian K. Vaughan, Marcos Martin and Muntsa Vicente have launched another pay-what-you-want digital series, the five-part Barrier. 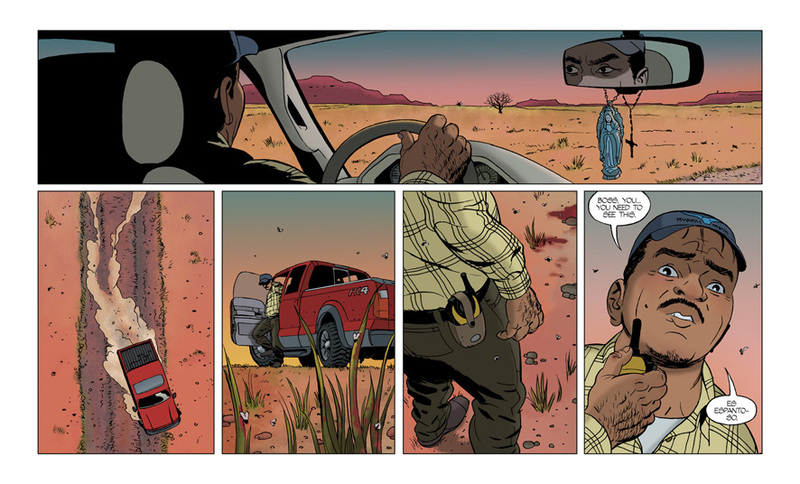 In an email from their Panel Syndicate imprint, the creators described the comic as an “unconventional drama about violence, language and illegal immigration.” The first 53-page issue is available now for download from the Panel Syndicate site. Barrier follows the award-winning The Private Eye, which the three creators launched in a similar manner back in 2013. 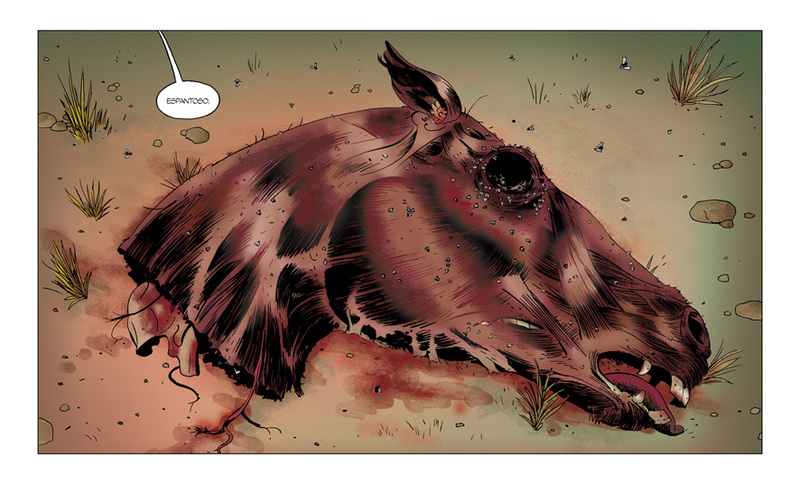 Check out some preview art from Barrier by Martin and Vicente below. ‘The Private Eye’ creative team teases a new project from their Panel Syndicate label. Looks like the band is getting back together, as the creators of the excellent “pay as you go” digital comic The Private Eye — Brian K. Vaughan, Marcos Martin and Muntsa Vicente — appear to be reuniting for another project from Panel Syndicate. Vaughan also clarified that this is NOT the exclusive The Walking Dead comic that was announced last summer at Image Expo — which is something else we still have to look forward to. Even though readers can still pay whatever they want for our DRM-free files (including nothing! ), artist Marcos Martin, colorist Muntsa Vicente and I are proud to reveal that The Private Eye is already well into the six figures for both issues downloaded AND dollars earned … and that’s without advertising, corporate backers, Comixology-like distributors, or even a Kickstarter campaign. 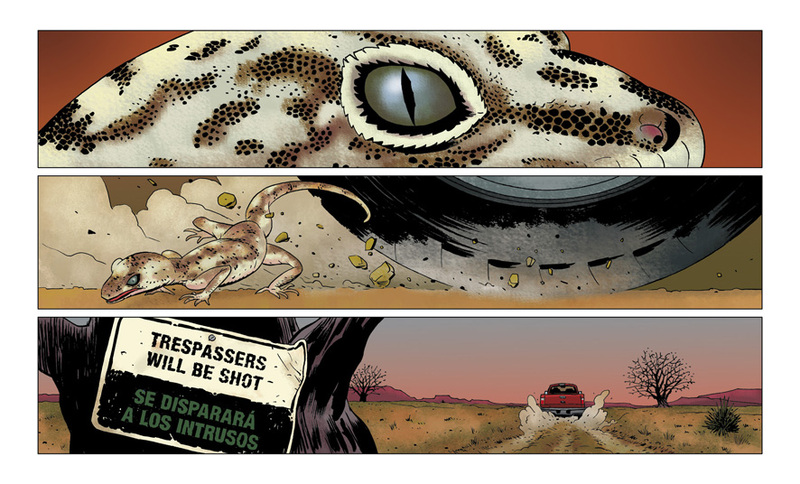 If you prefer print, a hardcover of The Private Eye is due out from Image Comics next month. And you can check the teaser out for the new project — in English and Spanish — below.